Prairie Oaks Village located in Wilmington, Ohio, offers 219 affordable living efficiency, one and two-bedroom apartments for qualifying residents that meet income requirements. The comfortable Prairie Oaks Village is located close to the central downtown area of Wilmington and features 3 buildings all part of the Prairie Oaks Village. Exterior renovation included updated doors, windows, pathways and landscaping. 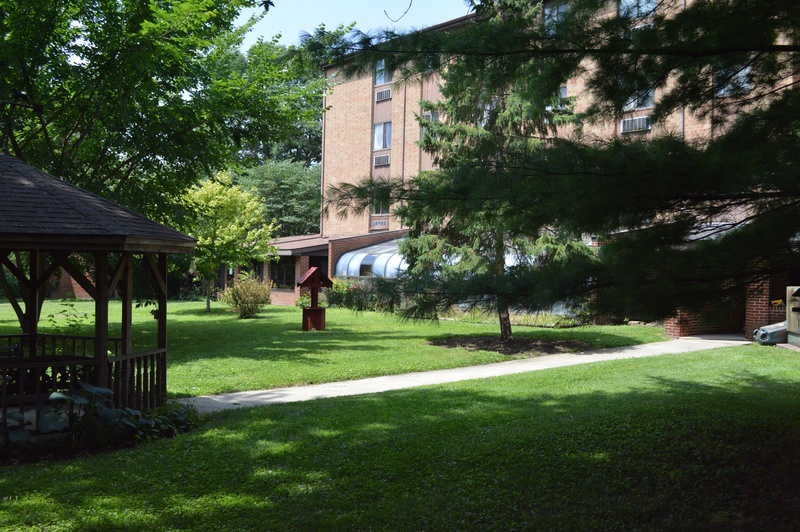 The grounds are wide open and offer tranquil space for walking or just sitting and enjoying a quiet afternoon. Like all the affordable living communities operated by Episcopal Retirement Services, Prairie Oaks Village a clean, vibrant, secure, and welcoming environment for individuals and families with limited incomes. See for yourself below why Prairie Oaks Village and our other affordable living communities are a wonderful place for older adults to live and flourish in a safe, friendly neighborhood community. For more information about qualifying to rent an apartment in our community and to receive a rental application, call Community Manager, Hazel Blomer at 937-382-4569 or submit your request on our contact page.